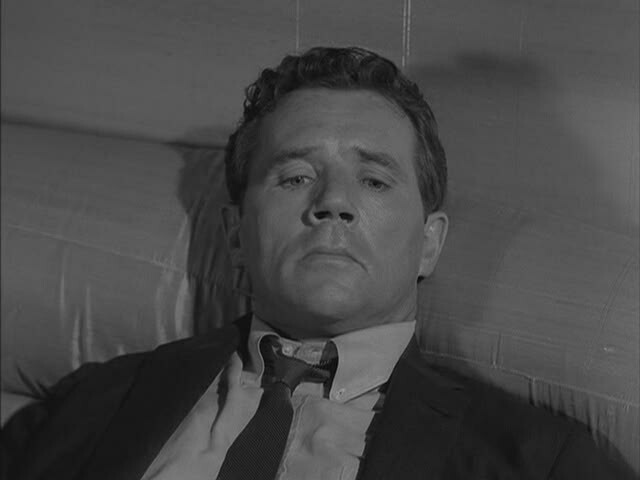 Rod Serling made a point of saying, even before The Twilight Zone debuted, that he wasn’t interested in settling for “second-best”. And it showed. He hired the best people, then turned them loose on some of the best scripts ever to grace the television medium. I focused in a recent post on the world-class directors who made their mark on TZ. It was hardly an exhaustive piece, but that was by design. You could fill a book with all the marvelous touches these talented visual storytellers brought to TZ. So I focused primarily on James Sheldon’s work on “It’s a Good Life,” hoping to come back from time to time to spotlight other directorial highlights. Well, the recent anniversary of Richard Matheson‘s “A World of Difference” made me think of another: the shot that reveals to the lead character that he’s an actor on a movie set. I wanted to do this in one shot. 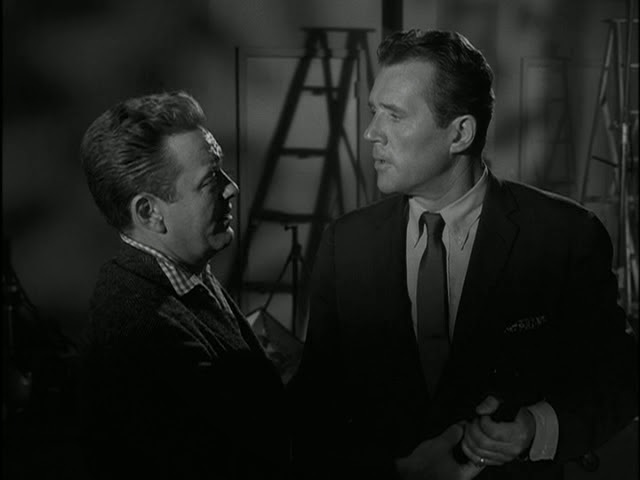 I want Howard Duff first shot as he comes into the office. Gail Kobe is the secretary. 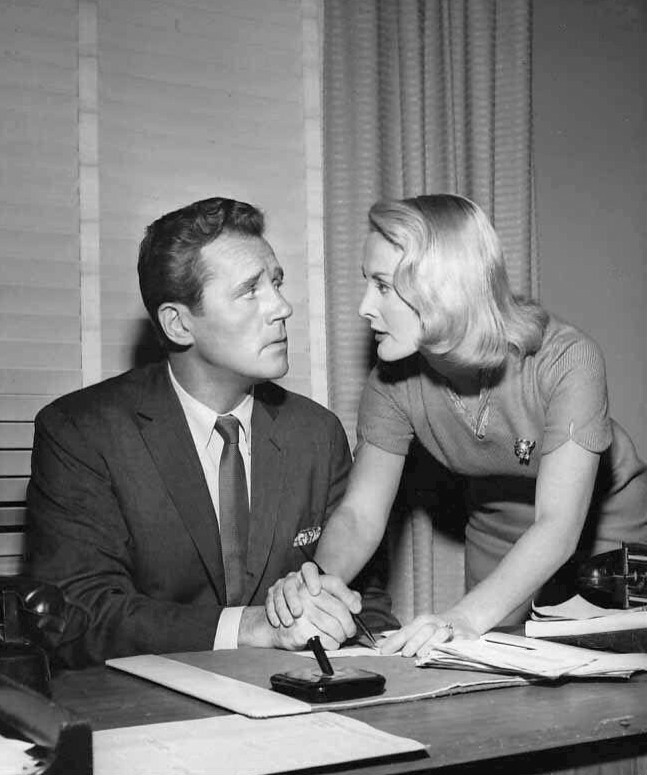 He asks for any phone calls, she gives him whatever papers, and then in one shot, I follow him into his office. The desk is on the other end of the stage, and I have him sit into the chair, but as he came in, I panned him over to the window, and that’s all in one shot. Never did a cut. And then I sit him down at his desk, in one shot. He decides to make a call and picks up the phone. The phone is not working. He tries it again. He gets up, and I have him walk right to the middle of the room and he hears the word “Cut!” and he gets confused. As he turns to the left, my camera goes to the left over his shoulder, and where the window was, there’s a crew. In one shot. Creating that shot took some work. The office wall had to be built on wheels that moved silently, then quickly slipped out of the way precisely on cue. But who can argue with the results? Well, maybe Gerald Raigan would. He was happier being Arthur Curtis, after all. Glad to see he finally got his happy ending … in the Twilight Zone. 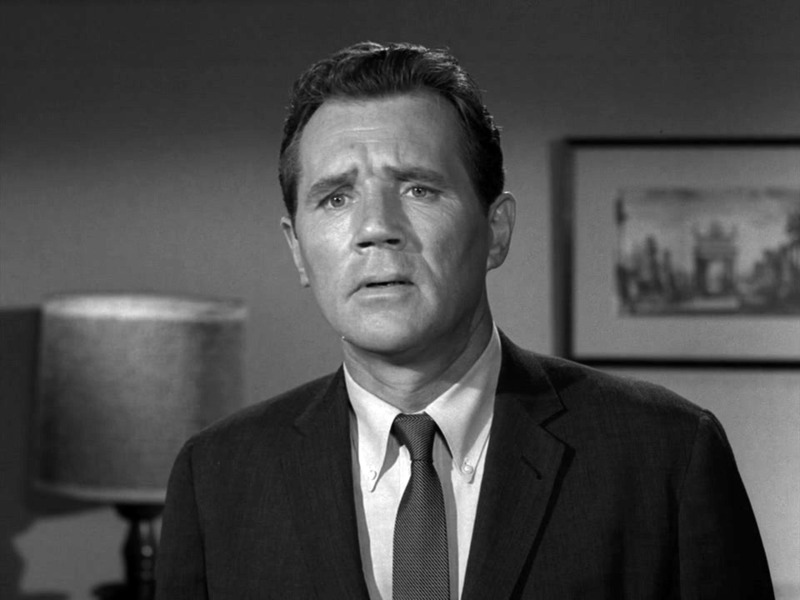 Posted on 04/30/2016, in Twilight Zone and tagged A World of Difference, Richard Matheson, Rod Serling, Ted Post, Twilight Zone. Bookmark the permalink. 12 Comments. I’m watching this episode as we speak and pulled up your Twitter page during the ‘sode! What a coincidence. Or is it…. Watching this episode just as I saw you post it on your Twitter page. What a coincidence! Or is it…. You have to wonder sometimes! This is one of those episodes that always makes me wonder about the writer. I mean, who comes up with this? Now, you’ve explained, very well, that there’s more to it. I’ve always considered the camera work and the lighting, but I never thought much about directing. I guess I don’t really know what a director does. Thanks for this great explanation, in context, Paul. Glad you enjoyed it, Dan. I don’t blame you for thinking of the writer first, and frankly, you should. I just like to highlight the work of others who contributed to these episodes and added those touches that make them so excellent. It really was a best of all worlds effort. I just watched Death’s Head Revisited and the camera angles add so much to the emotion. Right, like the one where he sees the prisoners gathered while he’s upside down, then we track them as he gets up, etc. Tremendous work on that one, too. I just absolutely love that opening shot! When I watched it as an adult it stopped me in my tracks and I had to rewind to make sure: Did I actually see what I thought I just saw? WAS there a window there? And the secretary…. As a writer, I love messing with the structure of things, and using that “production concept” to enhance the story, well, that was pure genius! It really makes you think? Is he REALLY nuts? What the heck just happened? Given what Gerald Raigan’s life was like, I’m glad he took that flight…into the Twilight Zone…. Yes, and TZ did that so often and so masterfully. Made us stop and go, “Wait a minute …” And of course, it made us think. All while entertaining us. Quite a legacy! No wonder we’re still enjoying the series today. 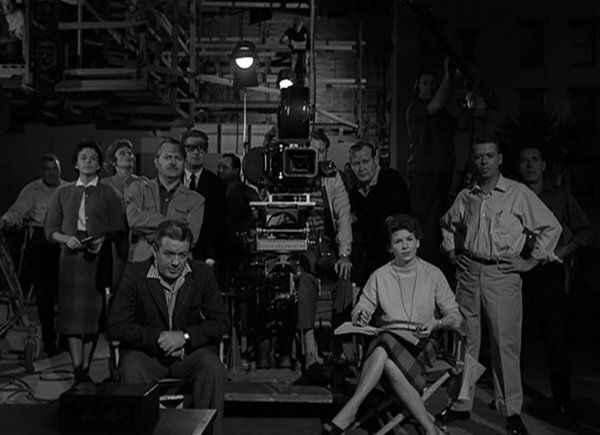 The scene suddenly going from the wall of a conventional office to nothing but empty space revealing a production crew on a sound stage is very jarring in a quintessential TZ way. In my opinion it elevates the episode’s overall quality significantly. So, kudos to Post. By refusing to be conventional with his direction, he gave the series one of its iconic moments.